Interactive French tutoring offered over the internet is a popular option for anyone seeking to further their comprehension and fluency of the France's most beautiful export, the French language. French is emerging as a surprisingly prominent spoken language with Hong Kong's borders, and familiarity with it would greatly benefit a variety of people. Fortunately, French courses and even French tutoring are becoming more available in the most famous city in China than ever before. The French expatriate community in Hong Kong has grown tremendously within the last decade, and it is commonly predicted that this trend will continue into the next decade. Even basic frequency in French is useful in a variety of circumstances, more so in Hong Kong than in any other non-French speaking region. The benefits of receiving a French course in Hong Kong are significant. Although some would consider the cost of French tutoring to be a deterrent from enrolling in a course in Hong Kong, consider that the price is a true investment. French courses become more demanded each year, and the value of the lessons increases annually with the demand. Even a simple comprehension of French will augment your understanding of all the Romantic and European languages, and the will allow for easier fluency in them if you later decide to pursue more courses beyond French. In Hong Kong, the value of French is becoming greatly appreciated, both in the fields of business and of culture. English and Chinese are the twin official languages of Hong Kong, but many more languages are used within the city. Of the countless dialects, the one with the most significant increases in commodity is French. In Hong Kong, French has even become the second most studied language, closely following Japanese. French courses within the city are designed to foster fluency. Even in districts of Hong Kong without a significant French speaking population, the language is becoming prominent, with countless products and real estates named for French words. The increasing popularity of French gives courses in the language tremendous value. They should, and commonly are, absolutely encouraged. Achieving even basic fluency in French will yield benefits within Hong Kong, in a variety of ways. There are few reasons not to pursue tutoring, and they are easily outweighed by the potential rewards. Every year, French only becomes more widely utilized. Now is the time to enroll in courses. 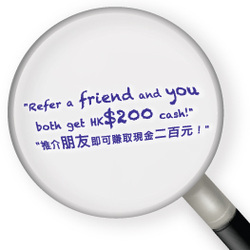 The benefits offered are easily accessed by the lessons provided in Hong Kong.